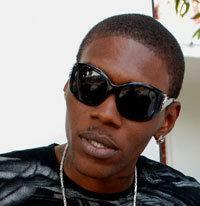 Among the most popular Jamaican dancehall artists in the industry is Kingston-born Vybz Kartel. He began his music career in 2000, and only three years later he had become a household name in Jamaica. To date, Vybz Kartel has released ten albums and numerous EPs and has collaborated with many noteworthy artists including Rihanna, Missy Elliot, Pitbull, Sean Kingston, Tarrus Riley, Major Lazer, Busta Rhymes, and others. He has also collaborated and/or remixed tracks with Jay-Z, Missy Elliot, Pharrell, Kardinal Offishall, Akon, Jim Jones, Lil Wayne, and Eminem. Kartel has found himself in the news regularly since 2011, but not for his music. In September 2011, he was charged with murder and was incarcerated awaiting trial. As of February 19th, 2014, his trial was nearing conclusion and a verdict was expected soon. In terms of upcoming music from Vybz Kartel, we can only wait and see if he is found innocent of his charges, so keep posted for details. He is an active businessman and started his own liquor line and condom line. He founded the Portmore Empire which is a group of dancehall artists from his hometown. He was banned from the airwaves in Guyana in 2011 in part due to lyrical content.